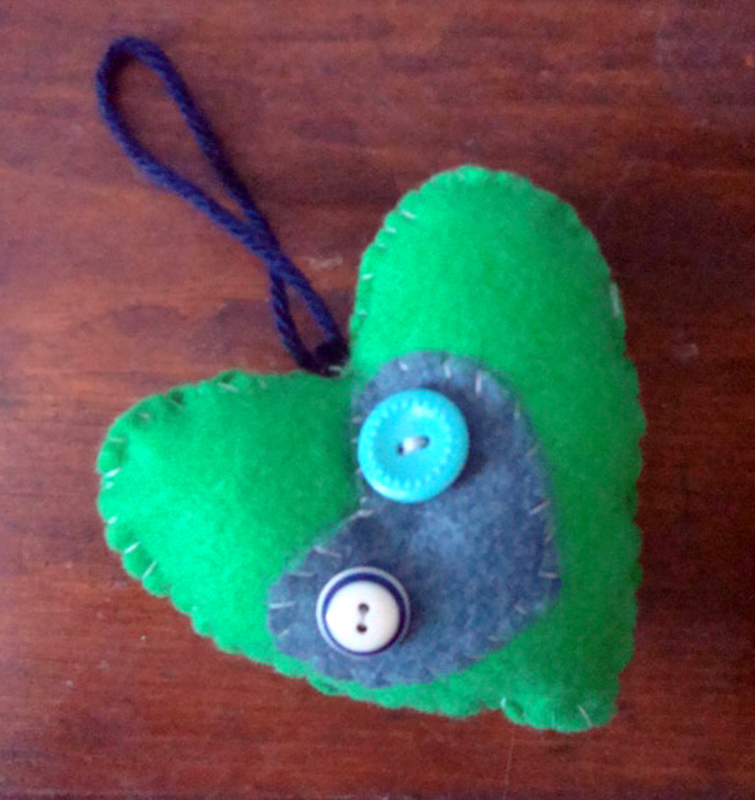 just one of the simple little heart ornaments I made for Christmas. I thought of them as ornaments but they could be used as little decor items also. They are made from felt and buttons!